It's definitely not square! 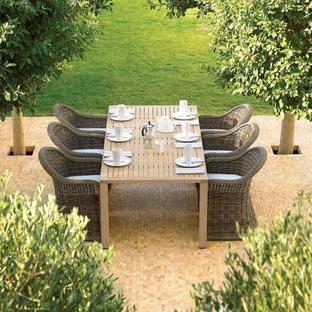 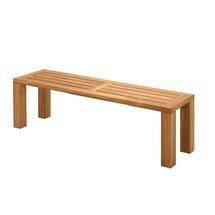 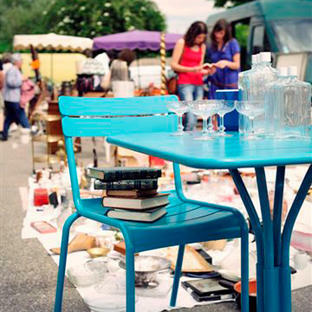 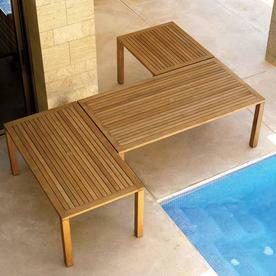 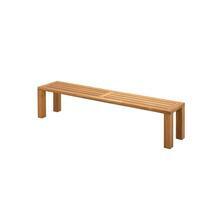 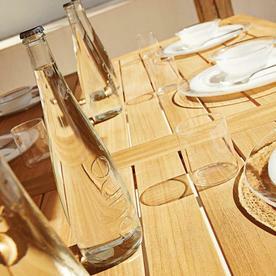 - beautifully designed outdoor furniture using some of the best ideas from modern indoor furniture. At the heart of the Square range by Gloster Furniture is an contemporary collection of outdoor dining tables, chairs and benches - the ultimate in flexible dining. 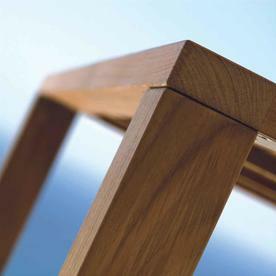 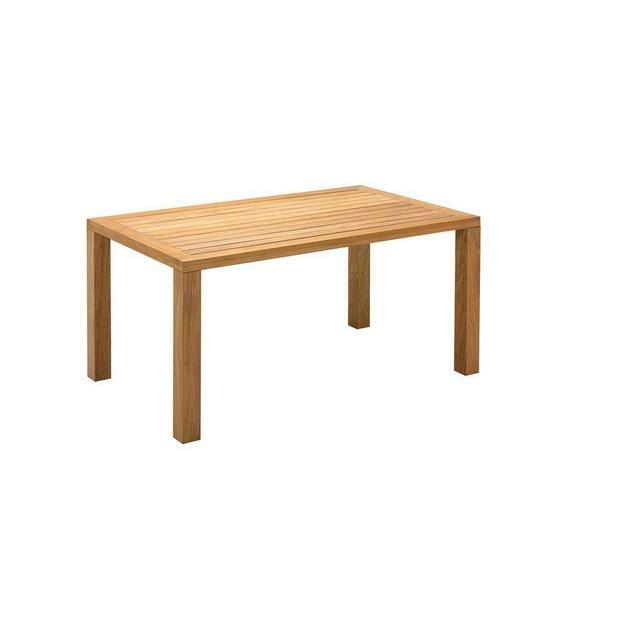 The solid teak legs are flush to each corner and as there are no visible side rails or cross bars to restrict the eye, means the simplicity of the line is maintained. 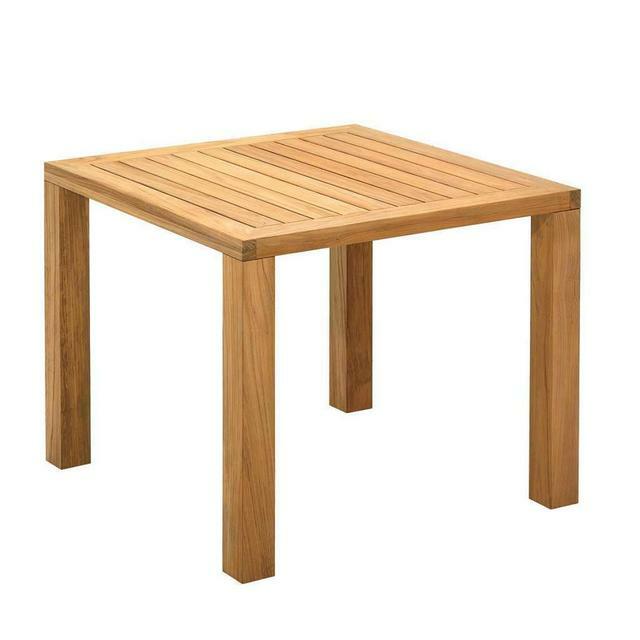 There are no parasol holes in the Square table collection. 92cm square table seats 4 people. 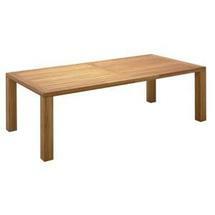 92x158cm table seats 6 people. 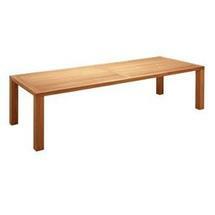 115x240cm table seats 8 people. 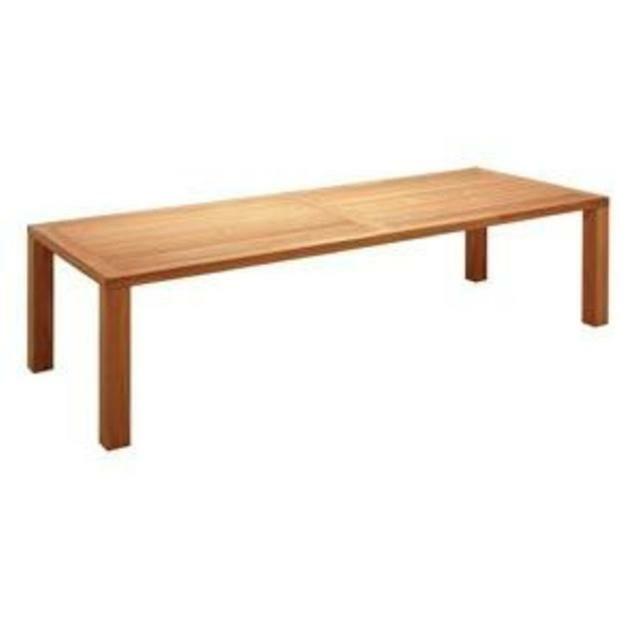 115x300cm table seats 10 people. 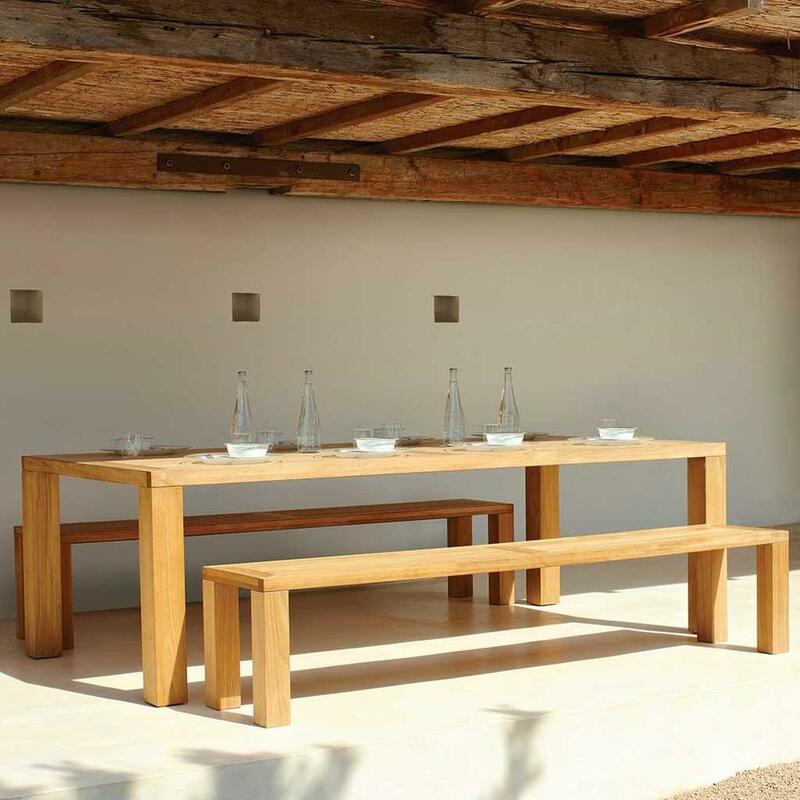 A little tip - the tables not only work well with the benches from the Square collection but also look really stunning with Havana dining chairs.